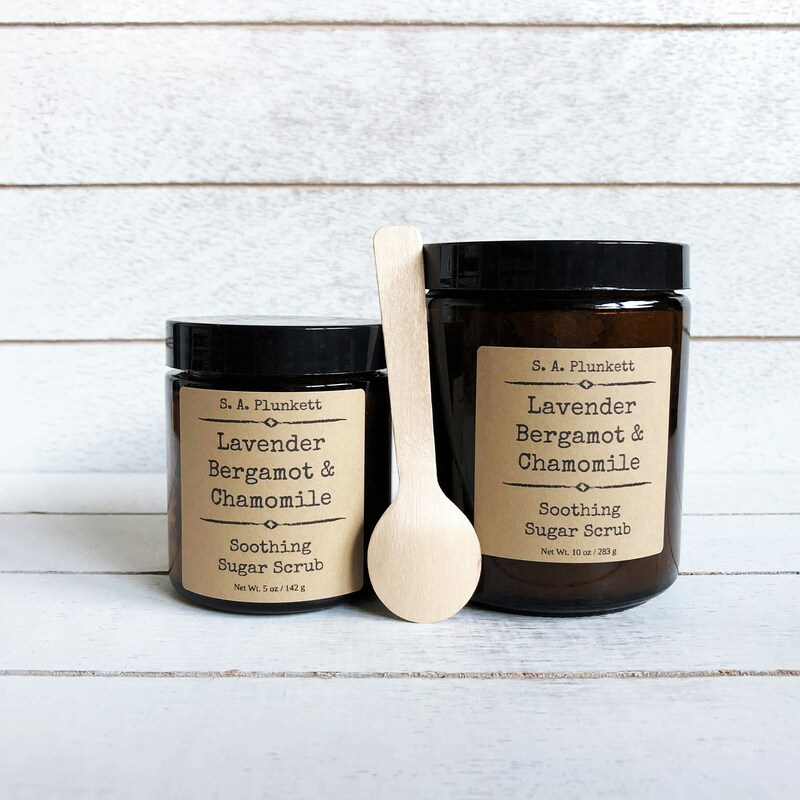 A soothing, cleansing and moisturizing, gentle body scrub that smooths and softens skin with organic sugar and thoughtfully selected organic oils and botanicals. 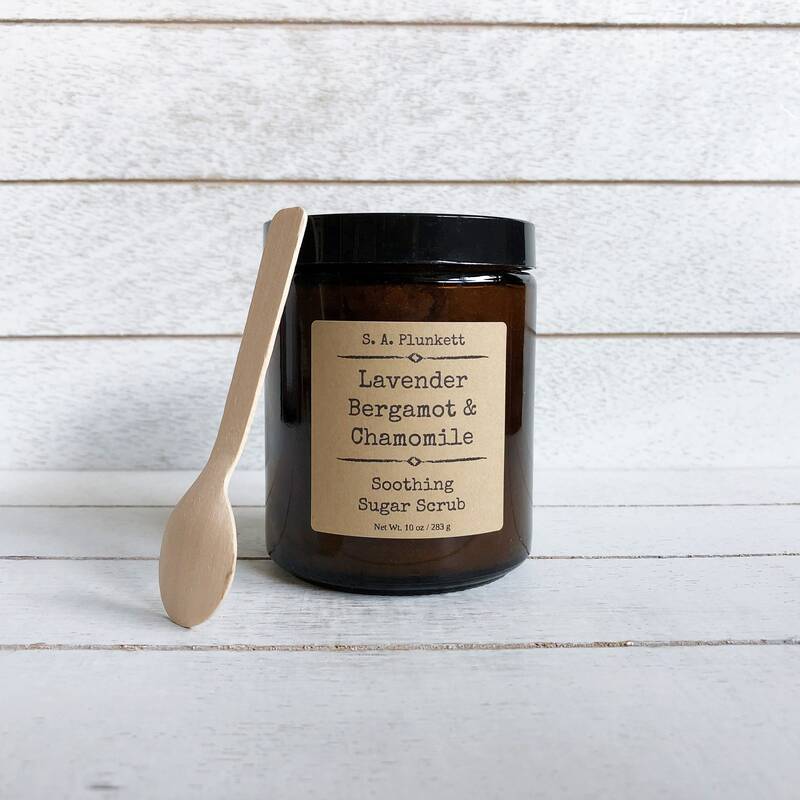 Let the calming and uplifting aroma of lavender and bergamot essential oils sooth your senses in this all-natural body scrub. 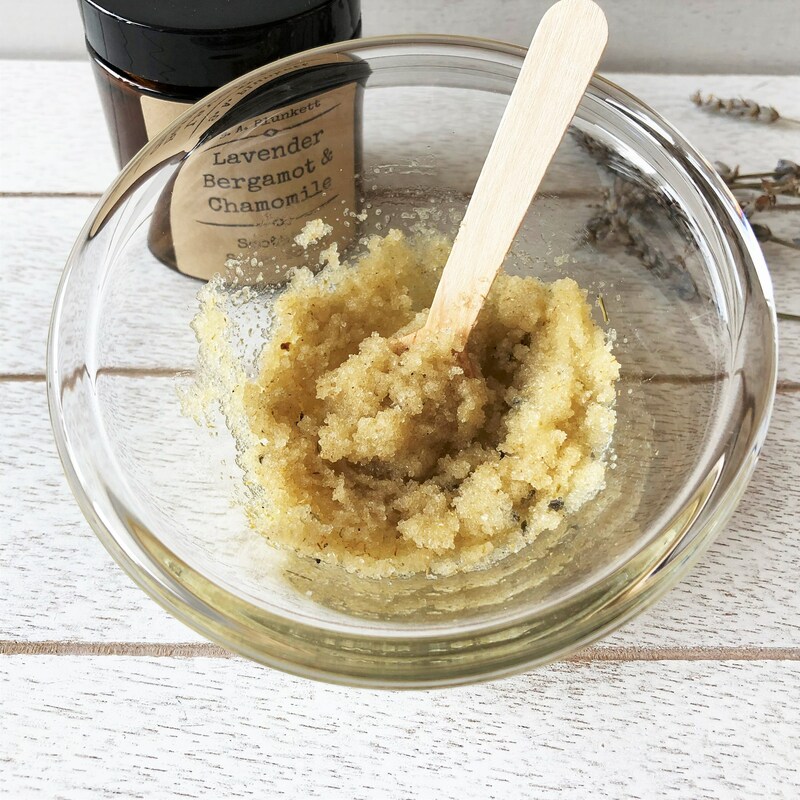 Skin conditioning, organic oils in this luxurious sugar scrub moisturize and pamper your skin while fine grained, organic cane sugar granules exfoliate dead skin from the surface, leaving fresh, soft, and healthy looking skin. Directions for Use: Using a clean a spoon or fingers, scoop out desired amount, avoiding allowing water to enter jar. Gently apply the scrub to wet skin in a circular motion, concentrating on dry patches and rough areas of your skin. Avoid using on sensitive areas, in cuts or on skin that is irritated or sunburned. Thoroughly rinse with warm water and massage remaining oil into skin. Part of what I love about saPlunkettNaturals are the scents. 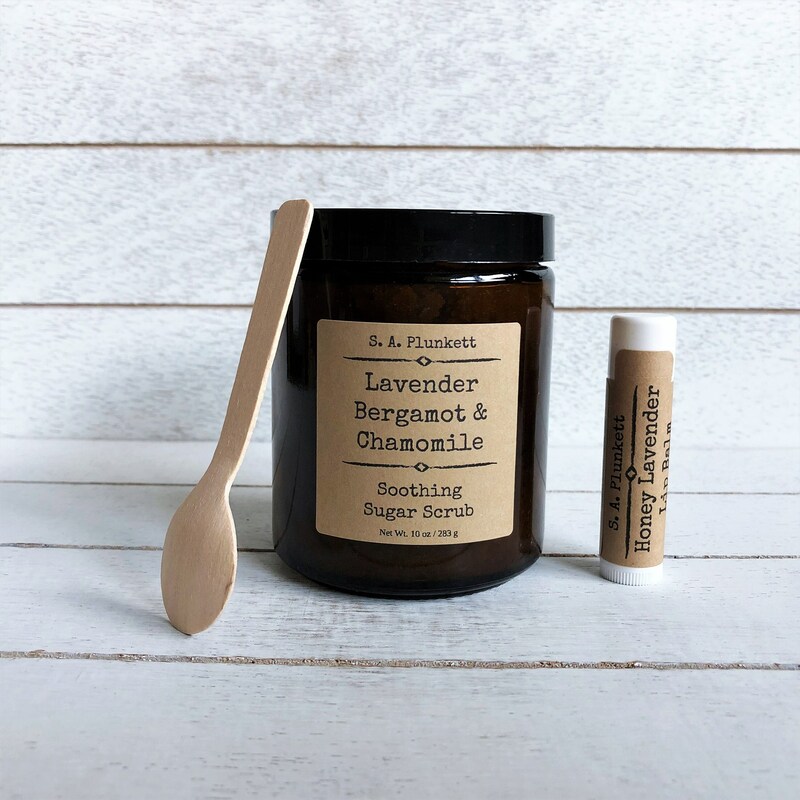 I could not have imagined a better combination than lavender, bergamont and chamomile. The natural scents are so refreshing and calming. I love the moisture and subtle scent this leaves on my skin after use.